A city is defined by it’s skyline. The image of a city’s skyline goes on everything from t-shirts to coffee cups to paintings. It helps establish the identity of a city and it’s people. But skylines are always changing, especially here in Philadelphia. 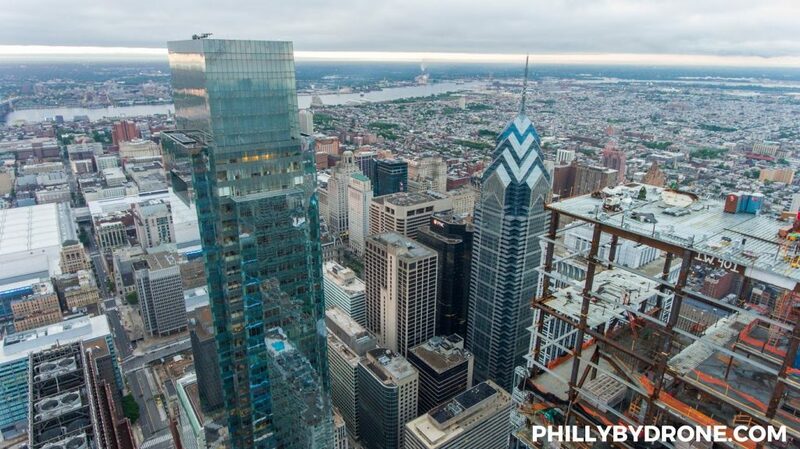 I’m sure when you think of the Philly skyline a few major images come to mind, the distinct silhouette of William Penn on the top of City Hall, the massive boxy outline of the Comcast Center, the matching points of One and Two Liberty Place. 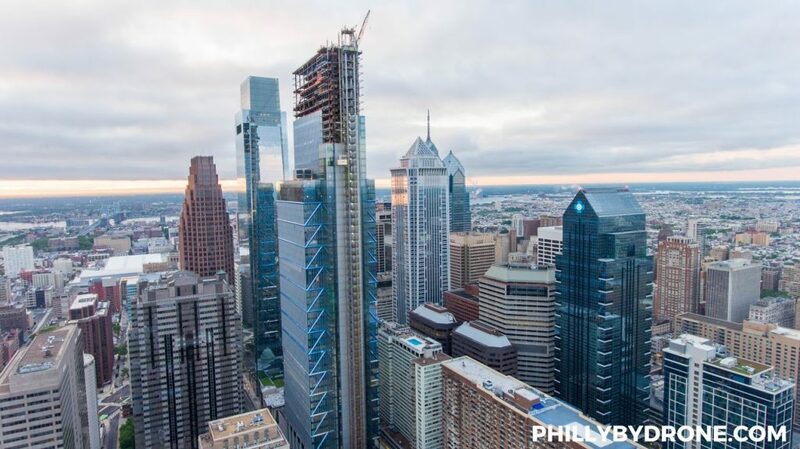 Later this year the Comcast Technology Center will open and the skyline will once again change forever. 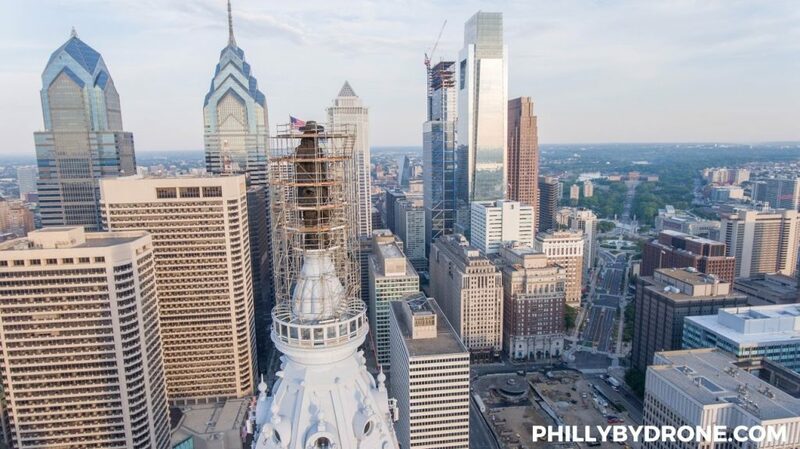 It will be the tallest building in the city at 1,121 feet tall, the other Comcast Center was previously the tallest since 2008. City Hall was actually the tallest building all the way up until 1987 when Liberty Place was built. And so the Curse of Billy Penn began and no Philadelphia sports team was able to win a championship for decades. 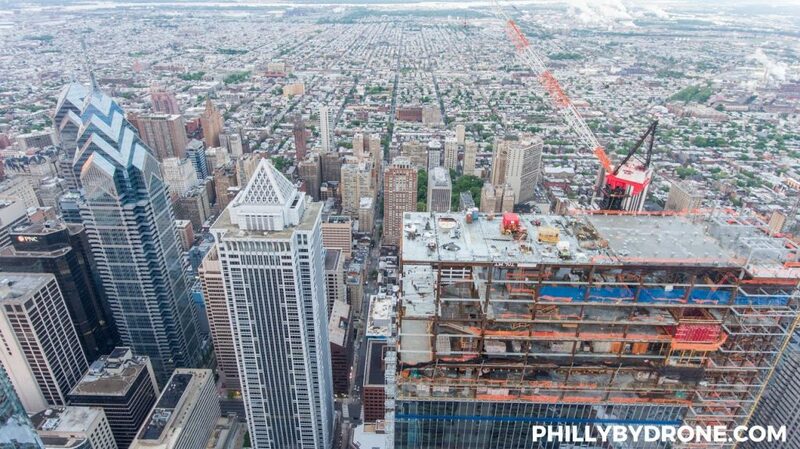 The curse only ended in 2008 when a small figurine of William Penn was placed at the top of the new Comcast Center. I wonder if Comcast has any plans to put a new figurine on top of the upcoming Technology Center upon completion. Skylines just like cities are always changing and I’m interested to see how the Philadelphia skyline develops and grows in the coming decades. 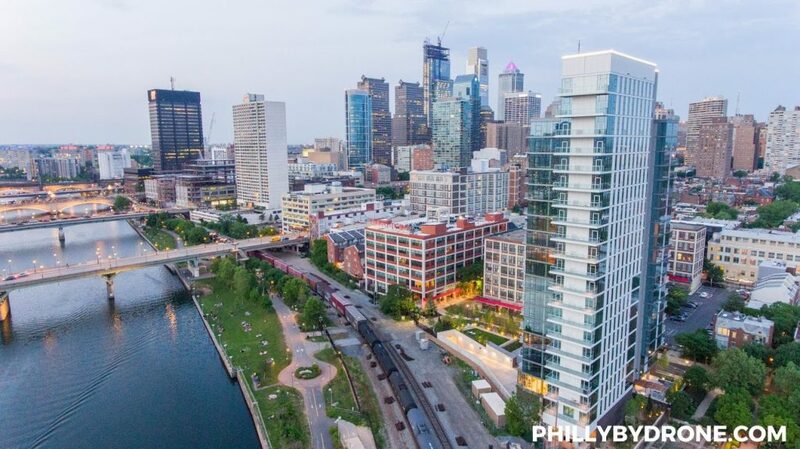 www.phillybydrone.com takes incredible photos of the Philly skyscrapers through the use of a drone. The drone allows them to capture a variety of angles that most people wouldn’t have the chance to see otherwise. Below are a few of my favorite shots he has gotten so far. 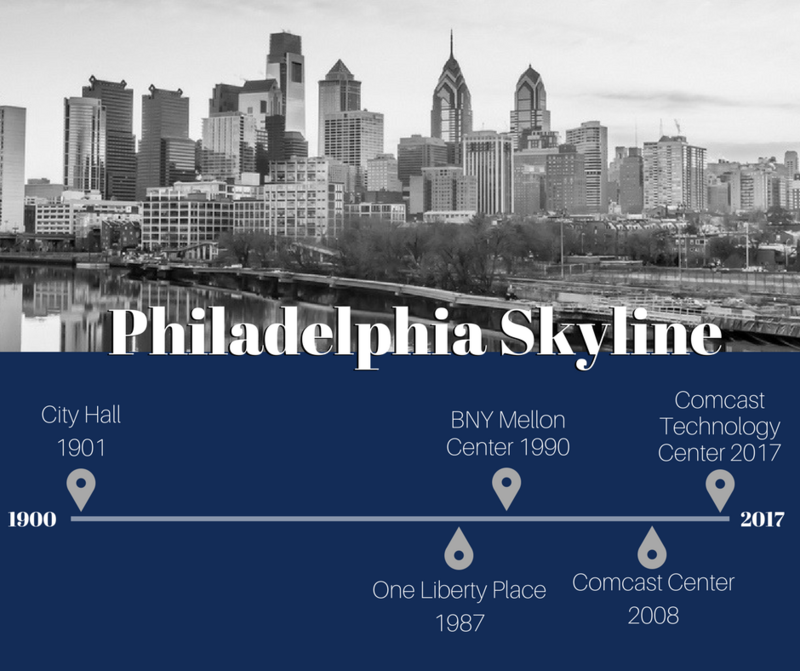 This post was created in honor of June being National Skyscraper Month and the inspiring history of the Philadelphia skyline.